Electrochemical methods for heavy metals detection have attracted considerable attention due to their simplicity, rapidity and high sensitivity. Voltammetric methods are a valid and very effective alternative for the simultaneous determination of heavy metals. 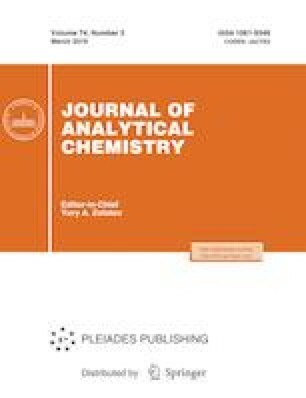 An independent atomic absorption spectroscopic analysis of the seaweed sample was carried out and the results were compared with the World Health Organization permissible limits. The sample was clearly observed in the atomic force microscopic images, characterized by Fourier transform infrared spectroscopy and X-ray diffraction analysis. The electrochemical behavior of heavy metals on a bare glassy carbon electrode and a multiwalled carbon nanotubes modified glassy carbon electrode was studied by cyclic voltammetry, linear sweep anodic voltammetry, square wave anodic voltammetry and differential pulse anodic voltammetry. Very good responses were observed for all the metals when the modified electrode was employed. The authors are extremely grateful to Department of Science and Technology (FAST TRACK and FIST) New Delhi, INDIA for using CHI Electrochemical workstation and UGC New Delhi, INDIA for using FTIR spectrometer and AFM at V.O.C. College, Tuticorin-8.